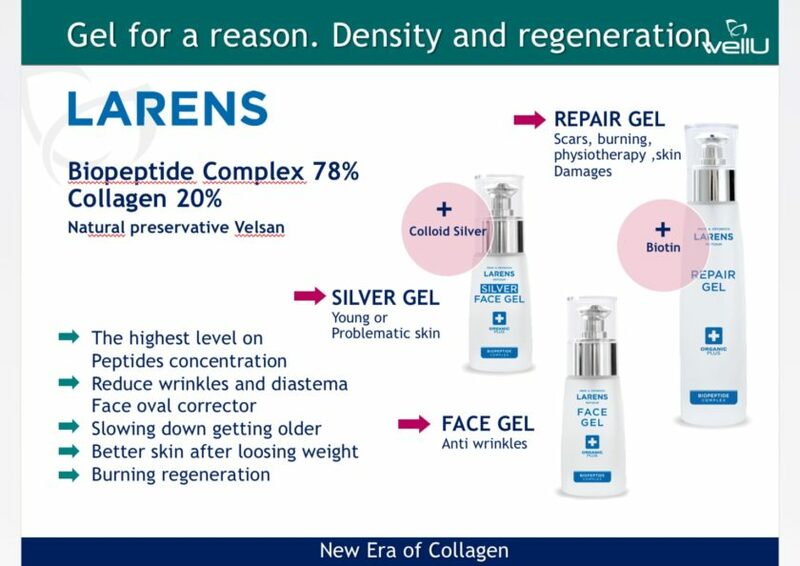 Nature has equipped the human body, including its largest organ, the skin, with a brilliant cell renewal mechanism. When it comes to young and properly functioning skin, the whole cycle of cell renewal is smooth. When it starts to slow down, do not wait for the disaster, help your skin – do a regular body scrub. Which exfoliating skin products to choose from and how to effectively apply them? The most active zone in the cyclic cell renewal process is the deepest layer of the epidermis where the cell proliferation takes place. How does it work? Newly formed cells are pushed higher and higher by another layer of their successors to appear on the surface of the skin. When they reach the outer layer of the epidermis, the so-called stratum corneum (horny layer), they die and undergo a successive process of exfoliation, which is a constant, imperceptible process for the ‘skin owner’. Young skin, which is “undisturbed” in this cyclical regeneration, needs about 30 days. However, with age, due to environmental pollution, poor diet, stress, smoking as well as extensive sunbaths or indoor tanning, the skin hardens faster and the regeneration slows down, taking even up to 50 days. Yes! Because the inhibited process of skin cells exchange reveals something we do not particularly like: the skin has an uneven color, it is gray, dull, rough, thick and covered with blemishes, as the dead cells clog the sebaceous glands, causing inflammation. In short – it is not our pride and joy anymore. How to exfoliate your skin at home? Mechanical exfoliation using grain scrubs – fine, medium and coarse grain, including cleansing gels with abrasive particles belonging to this group. The tool and the type of abrasive should of course be suited to the type of skin and especially to the areas we are about to apply treatment on. 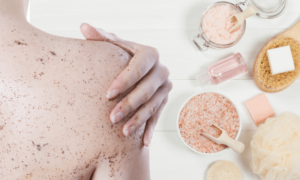 Coarse grain, salt and sugar scrubs, with seed particles or ground coffee dregs will help with the thick skin on your legs, buttocks or shoulders. Mechanical exfoliation also includes brush or jute glove massages. Enzymatic scrubs – they exfoliate without friction, so they are perfect for the delicate areas of the face, neck, neckline or breasts. They exfoliate the skin without friction and the risk of irritation associated with it. This is extremely important not only for sensitive, couperose, but also oily and acne-prone skin, as it significantly reduces the risk of bacterial spread and inflammation. Enzymatic scrub helps to remove deep impurities and blackheads. Peel-off masks – a gel-like formula that, when applied to the face, congeals and forms a gel mask. By removing it, we remove the impurities that have clung to it during congealment. It refreshes, replenishes excess sebum and rejuvenates your complexion. Perfect for sensitive skin or just before leaving for a party. 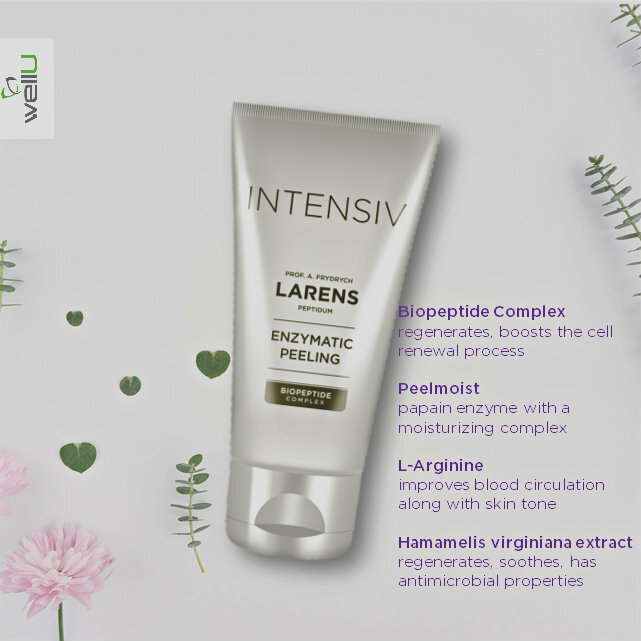 Enzymatic Peeling from Larens Intensiv line is based on synergistically active ingredients: Peelmoist (papain enzyme with a moisturizing complex), L-Arginine (improves blood circulation along with skin tone), Hamamelis virginiana extract – regenerates, soothes, has antimicrobial properties. Gently exfoliates the dead skin, exposing a smoothed face with an evenly toned color. It moisturizes and improves blood supply to the skin, preparing it for subsequent skin care treatments. Gommage peel – combines the effects of enzymatic scrubs with mechanical exfoliation – a cream substance containing enzymes (for example papain, bromelain). Leave it on the face to dry, then wash with water (for sensitive skin) or dry rub (hence the French name gommage – gumming) in case of oily, heavily impure or seborrhoeic skin. How does an enzymatic scrub work? Thanks to its enzymes: biotechnological, such as keratoline, or natural, derived from plants such as papain (the enzyme obtained from papaya) or bromelain (from pineapple) or of animal origin (trypsin, pepsin). 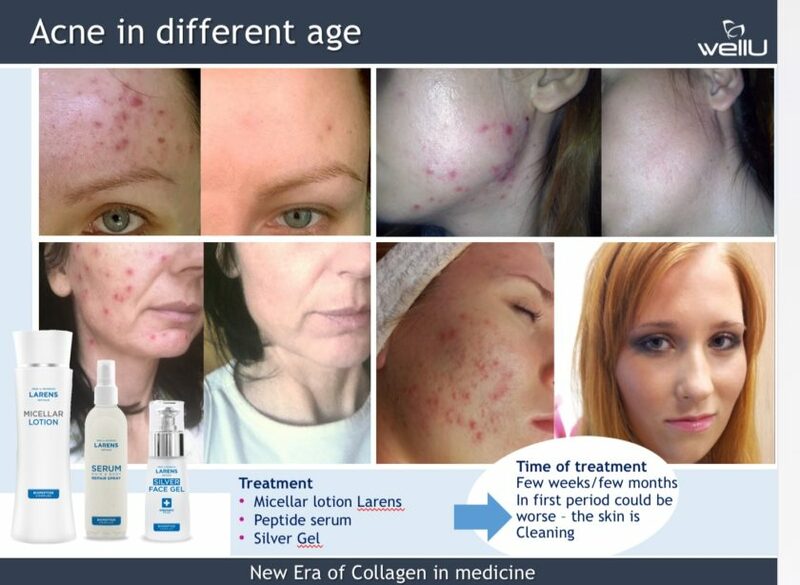 Their work consists in dissolving protein bonds between damaged or dead cells of the epidermis – so the ones we should be saying goodbye to as soon as possible as part of cell renewal 😉 The enzymes facilitate and speed up the process, which, as we wrote above, can get a little bit slowed down these days. It is important to apply enzymatic scrub to degreased skin. Impurities, such as sebum, can interfere with or even deactivate it. What else should be remembered when exfoliating? before application, it is advisable to perform a sensitization test e.g. on the inside of the wrist to determine if the enzymes contained in the face scrub may cause irritation. Why is Revicoll Omega Plus+K2MK7 a complementary and a complete supplement?